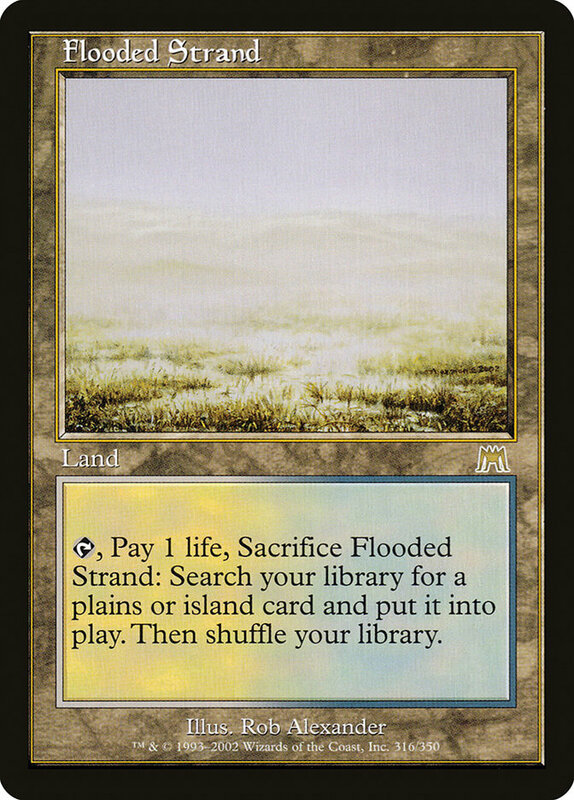 Card Text: ocT, Pay 1 life, Sacrifice Flooded Strand: Search your library for a plains or island card and put it into play. 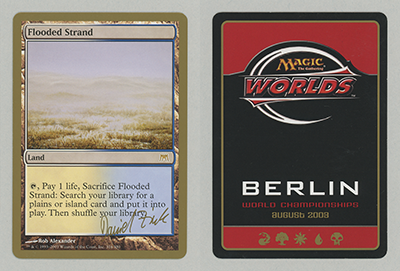 Then shuffle your library. 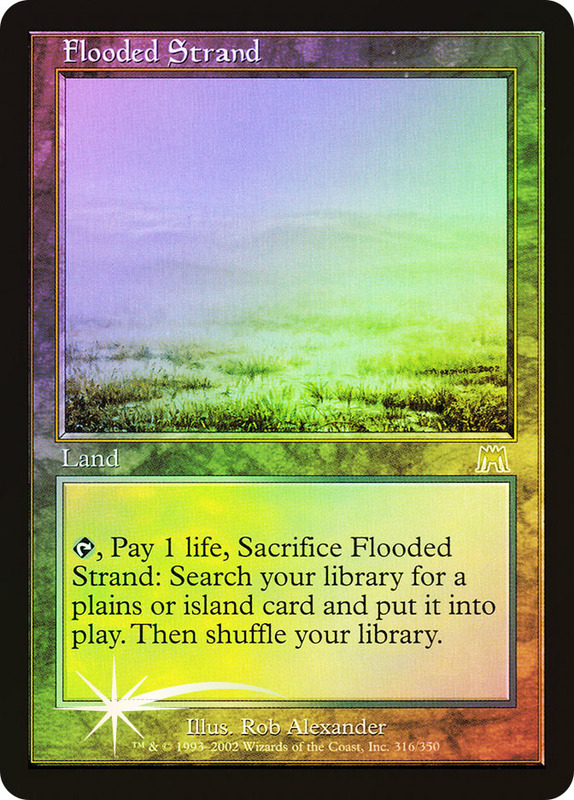 Oracle Text: Tap, Pay 1 life, Sacrifice Flooded Strand: Search your library for a Plains or Island card, put it onto the battlefield, then shuffle your library. 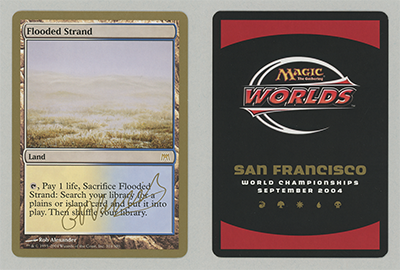 Card Text: T, Pay 1 life, Sacrifice Flooded Strand: Search your library for a Plains or Island card and put it into play. Then shuffle your library.